Need a deal on Ziploc Bags? 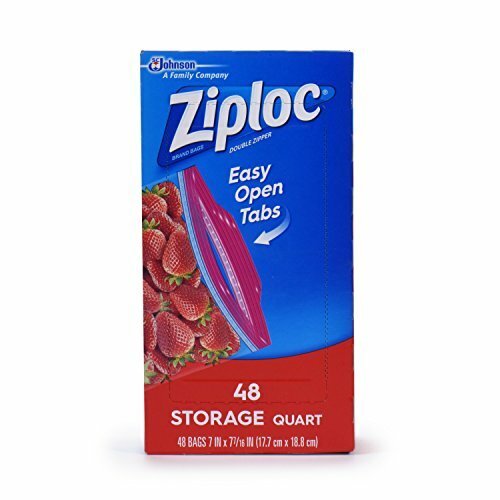 Hurry and get the Ziploc Quart Storage Bags, 144 Count today for as low as $9.71 when you clip the 20% off coupon & choose Subscribe & Save with at least 5 subscriptions from Amazon! That’s only 6¢ per bag! Check out all of the recent Amazon deals here! If you prefer one-time purchase, you can still clip the 20% off coupon. Amazon Prime members get FREE 2-day shipping!! If you are not a Prime member, get FREE shipping when you purchase $25 or more of eligible items across any product category. Check out the Ziploc Bags details below. Features our Smart Zip Plus seal. Now featuring our Easy Open Tabs. Protect your food with Ziploc brand Storage Bags. Each bag blocks out air and locks in freshness, which means less wasted food and money. Plus, our Smart Zip Plus seal lets you feel, hear and see the bag close from edge-to-edge, so you can feel confident your food is protected. Buy the Ziploc Quart Storage Bags, 144 Count from Amazon.